Our cheesiest client by a long shot is without a doubt Boska Holland! There is no one in the world that can top this client according to the Guinness Book of World Records. 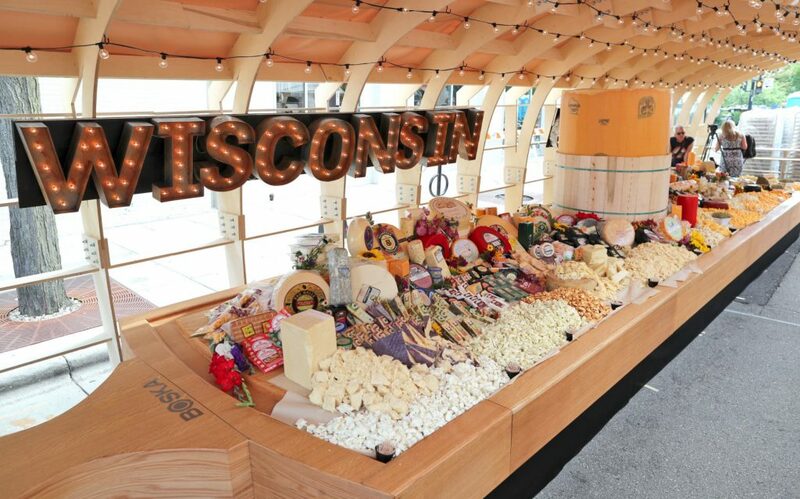 Yes, Boska Holland scored the world’s record for largest Cheeseboard this past weekend in Madison, Wisconsin where the cheese board measured in at 35 feel long by 7 feet wide (definitely not good for the average NYCity apartment!) & held a whopping 4,437 pounds of Wisconsin’s finest curd in a variety of types, ages & colors. Check out the full article here. For the best cheese utensils in the world, or to pick up a cheeseboard that WILL fit in your home or apartment, click here.